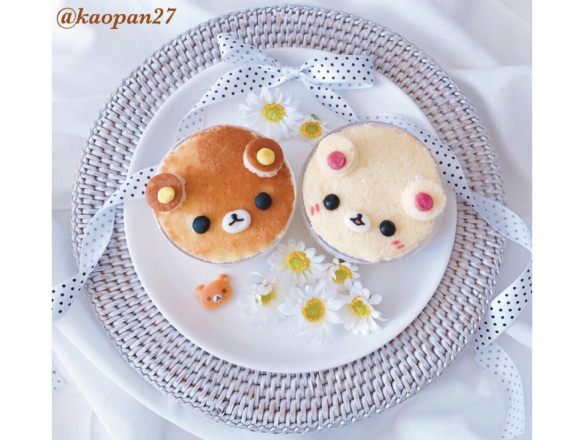 2: Sponge cakes are already divided into two pieces. 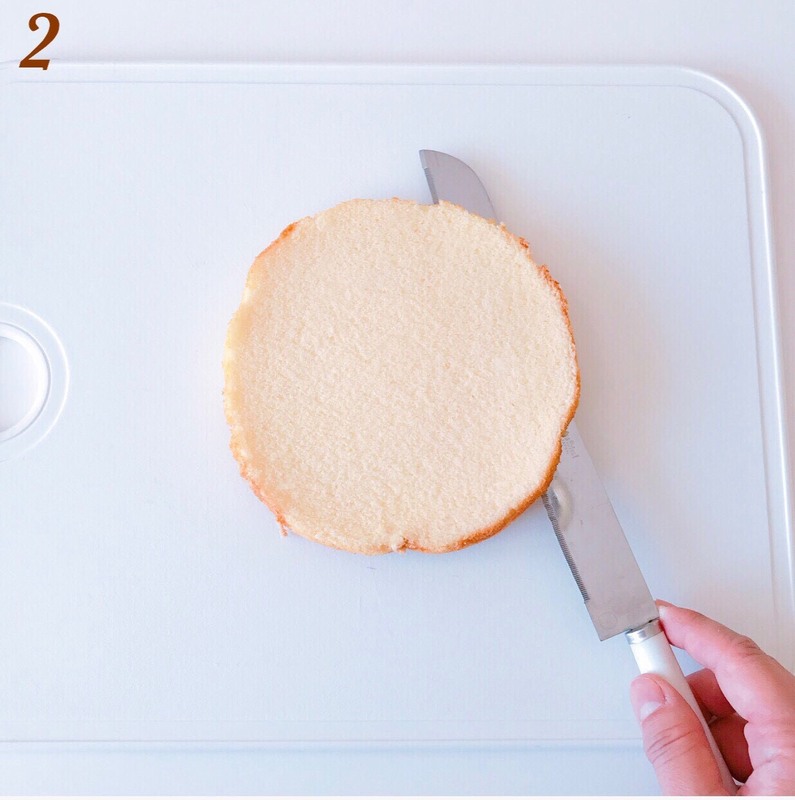 Slice each piece once more so that it is even thinner. 3: The white part of the sponge cake is for making Korilakkuma and the brown part is for making Rilakkuma. Cut out the shapes using the circle cutter, 2 circles for each layer. *These circles will become the tops of the faces. 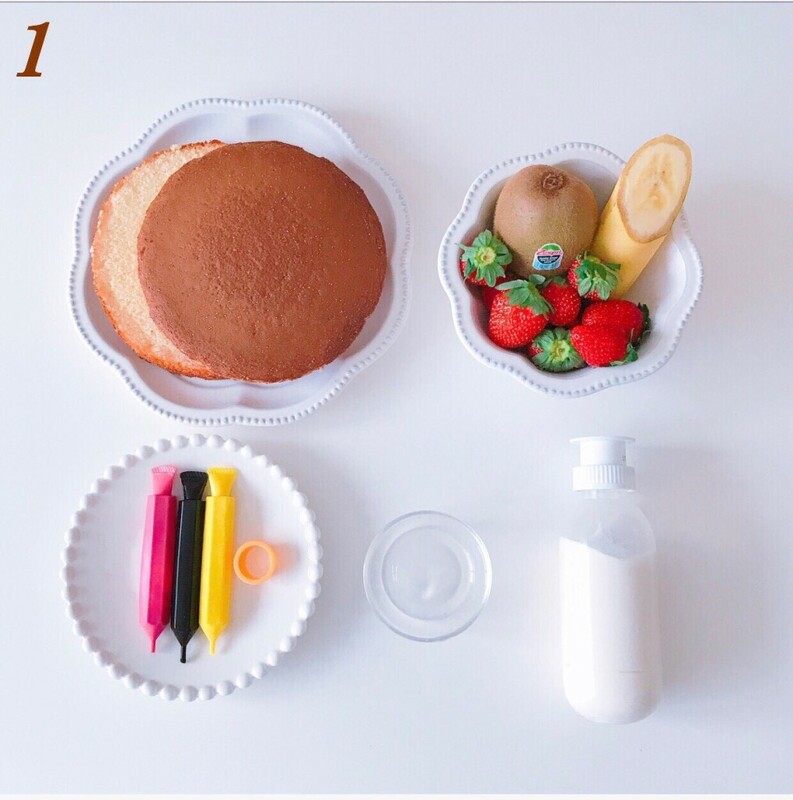 ①Cut 4 circles for the ears using the circle cutter. 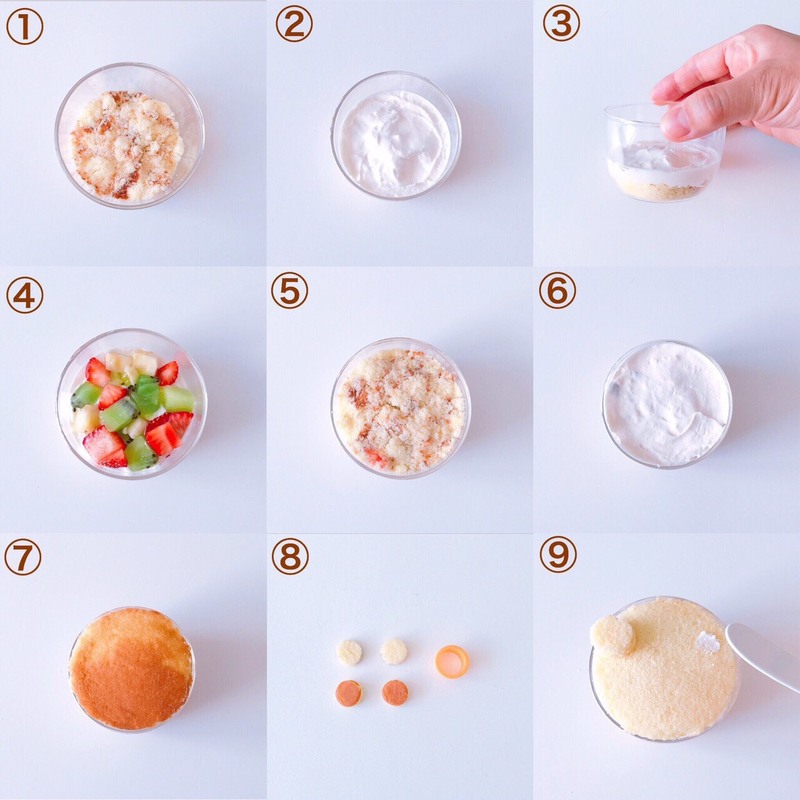 (As is shown in picture ⑧) Break up the remaining sponge cake into small pieces and put it in the bottom of the dish. 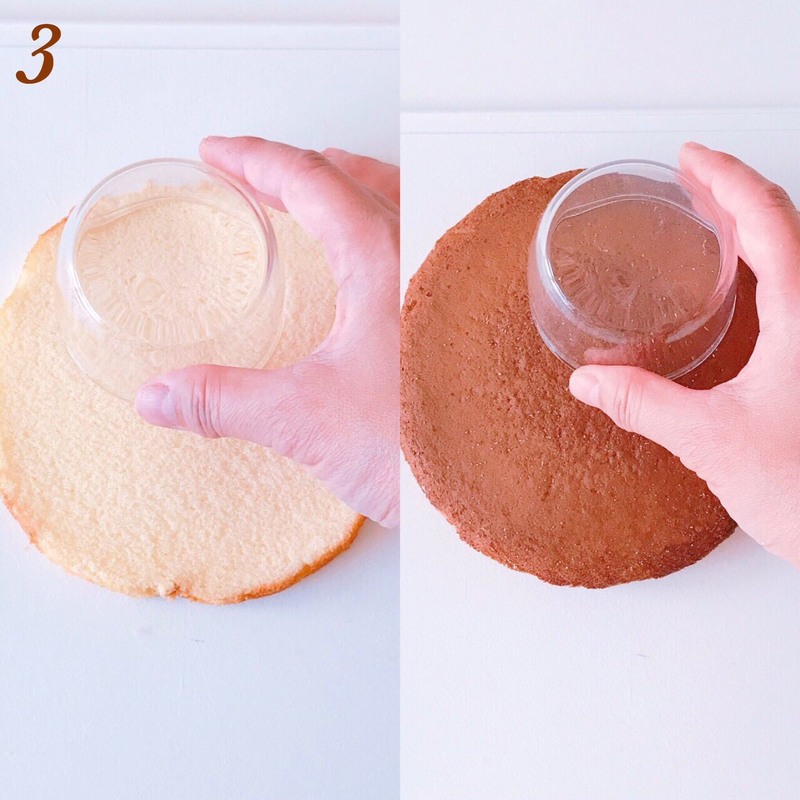 ②Put whipped cream on the small pieces of sponge cake. ④Put some fruit on the cake. 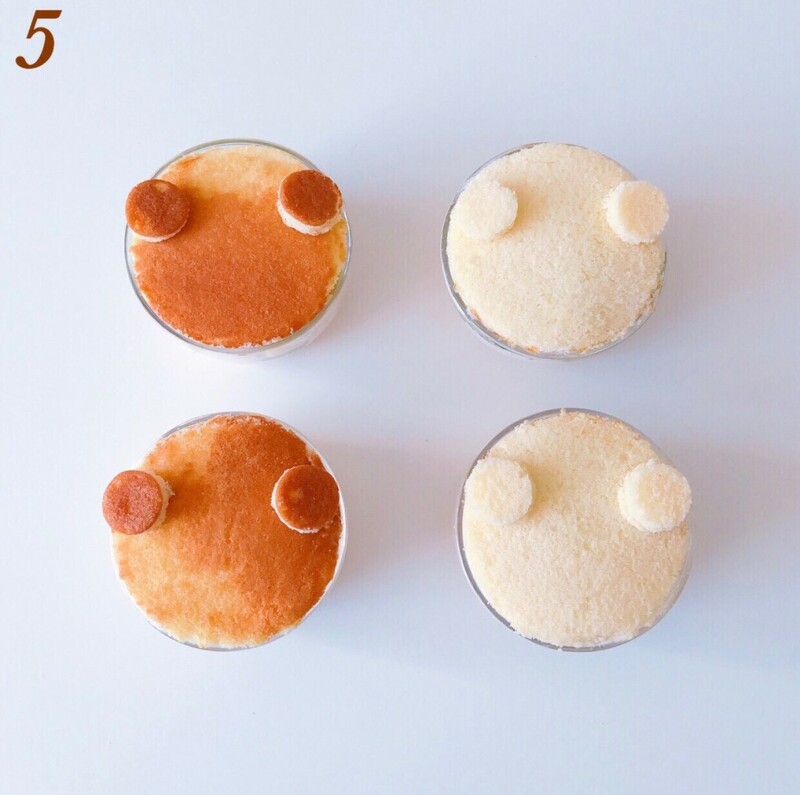 5: If there are gaps in the glass dish, fill these gaps with the remaining sponge cake and fix it. 6: Draw a white nose, eyes, and ears using the chocolate pens. 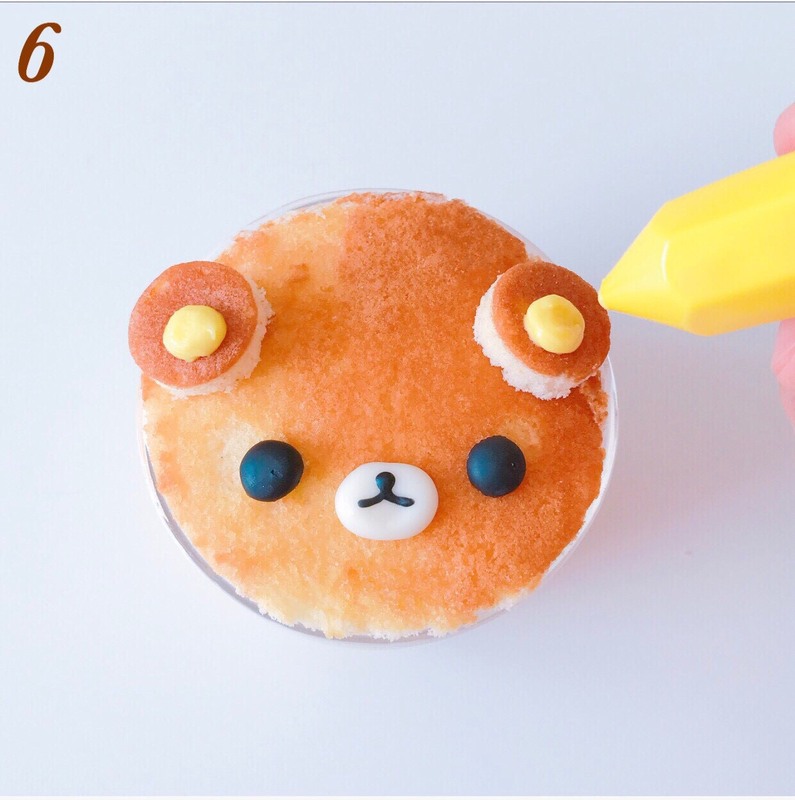 After the white part is dried, draw a nose and a mouth using the tip of a toothpick. 7: A side view the cake should look like in this picture. 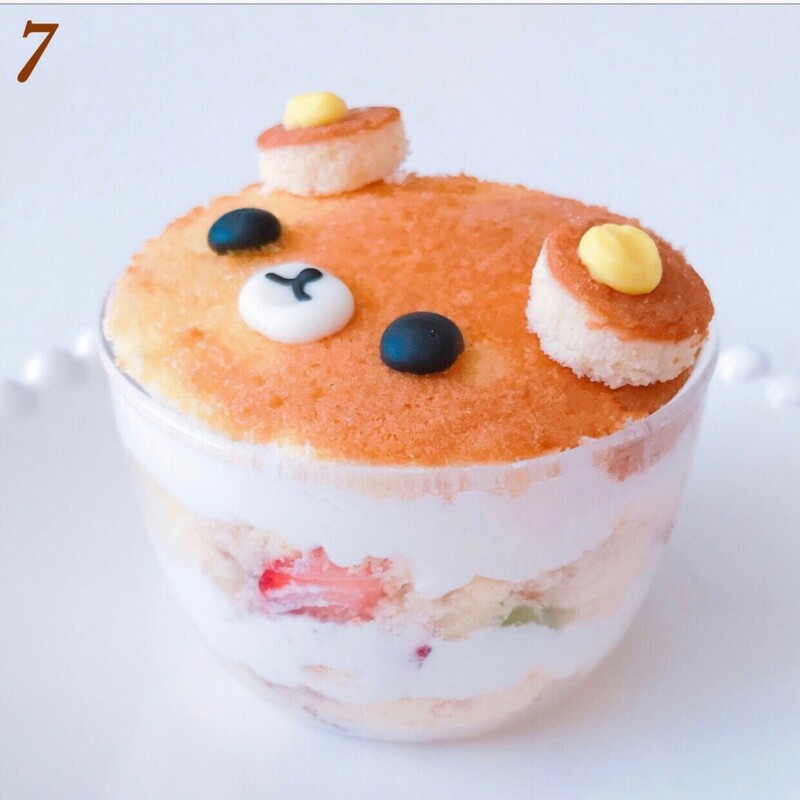 Kaori also invites you into her world of character-themed rice dishes in her recipe series! 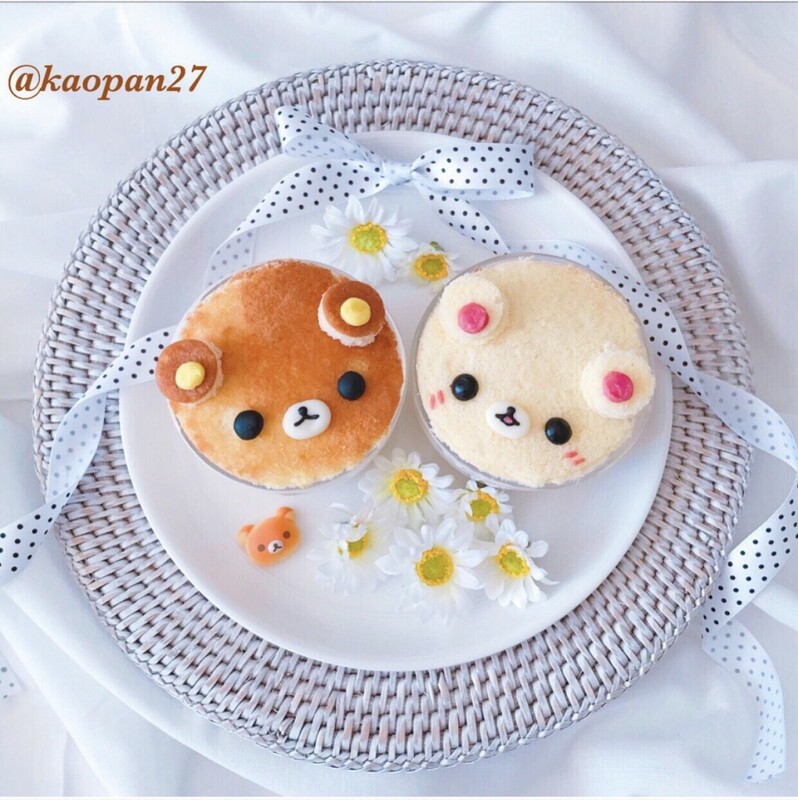 Please check out her Instagram where she has uploaded many pictures of her character dishes!